Resource Potentials is a consulting and contracting business specialising in geophysical survey design, acquisition, processing, modelling, inversion, data integration, interpretation and drill hole targeting. Based in Perth, Western Australia and established in 2001, Resource Potentials provide their clients with expertise and products that fit their requirements and budgets for exploration, drilling and mining operations. 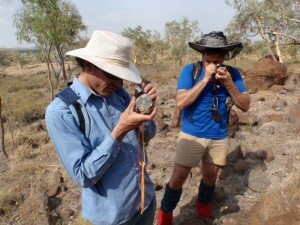 Resource Potentials is highly experienced in processing, interpretting and modelling potential field (magnetic and gravity) and other geophysical surveys such as radiometrics, EM, IP, GPR and seismic data in a variety of geological settings for commodities including; gold, iron, base metals, uranium, manganese, coal, diamonds, oil and gas, groundwater, etc. The Resource Potentials team are trained and mentored by Dr Jayson Meyers. Jayson has a BSc in geology, MSc in geochemistry and a PhD in geophysics. The understanding of 3 crucial elements of exploration allows Resource Potentials to tailor exploration programs for client specific projects. The experienced team at Resource Potentials can assist your project at a variety of development stages, from tenement evaluation and initial exploration program planning, to drill targeting and resource definition. Resource Potentials has an outgoing relationship with their clients and strives to provide high quality products in a timely manner and on budget.